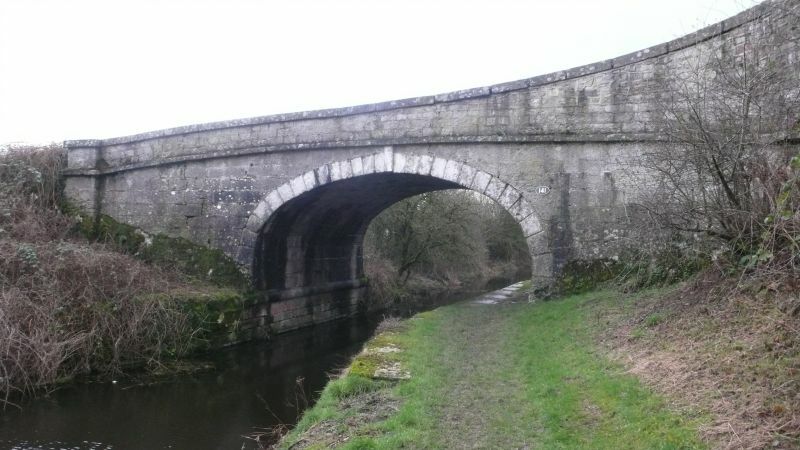 Bridge over Lancaster Canal, opened in 1819. Large punched limestone blocks. modified to align with adjoining motorway bridge.